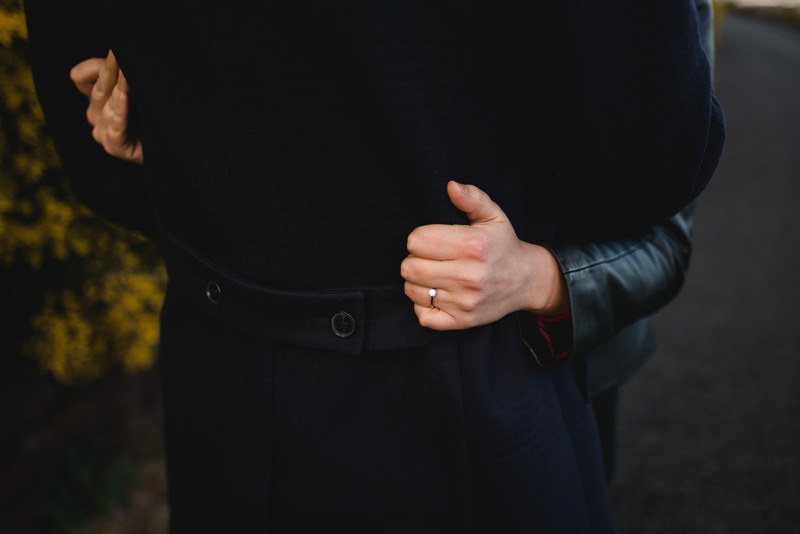 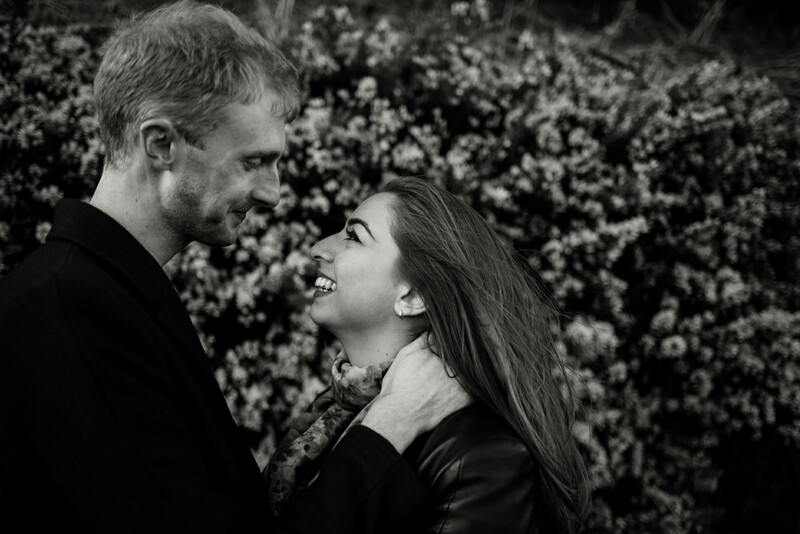 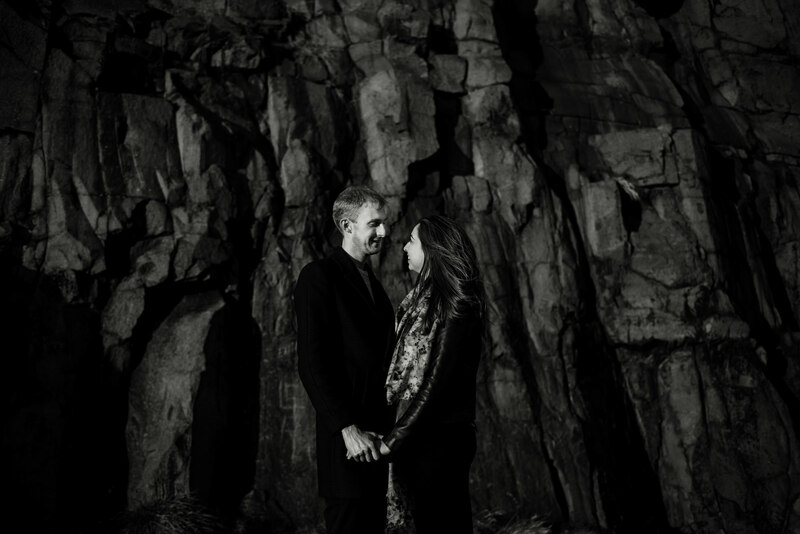 For an engagement shoot and on a wedding day I will try to use the evening time for photographs. 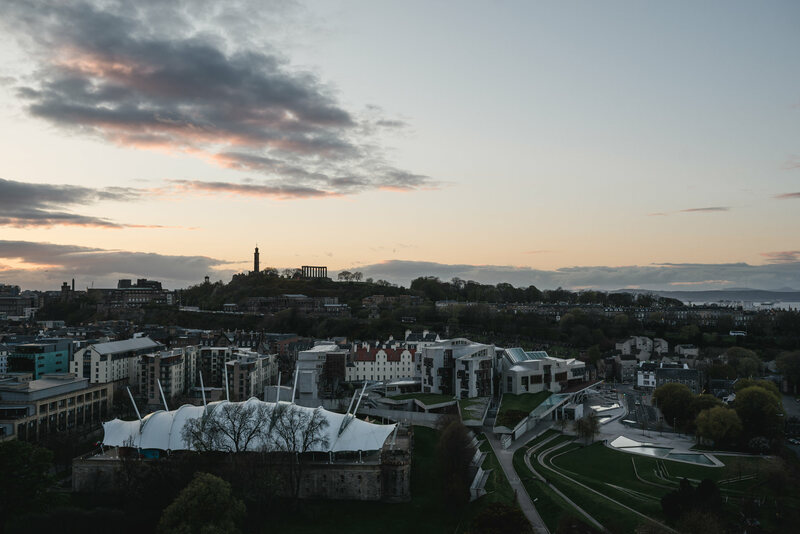 If we time it right we can do it at sunset and I promise it will be worth it, especially when we get sunsets like this one. 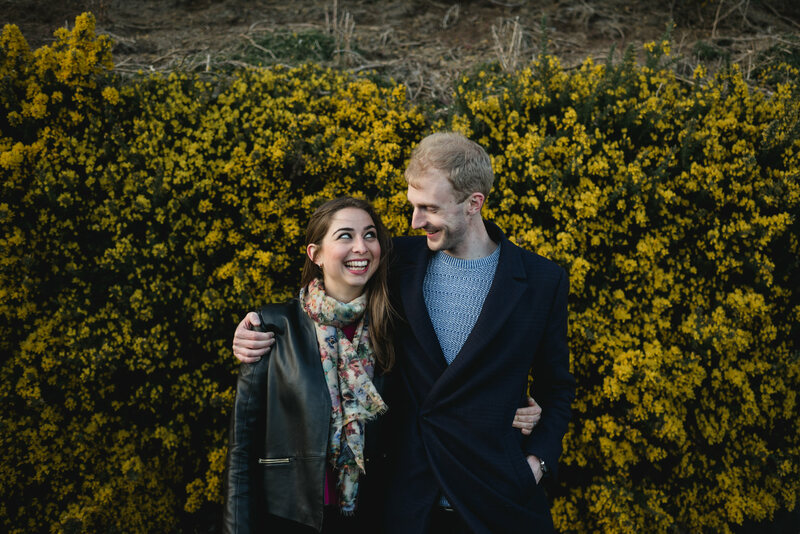 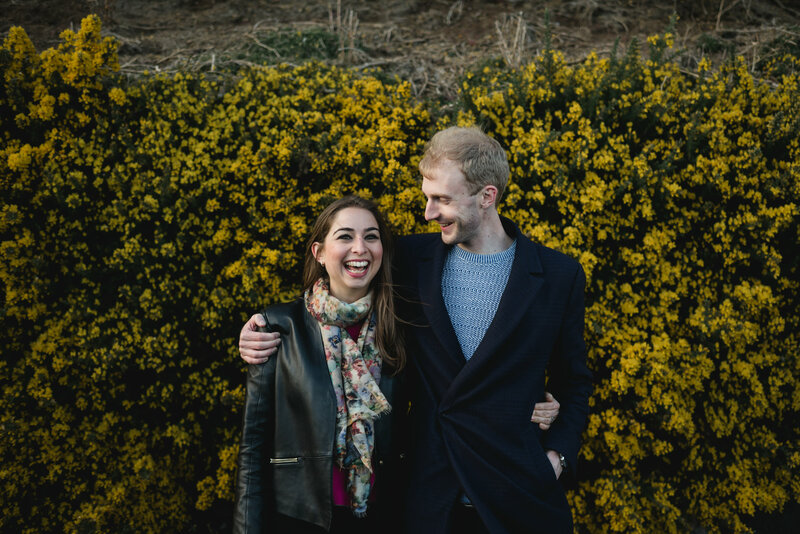 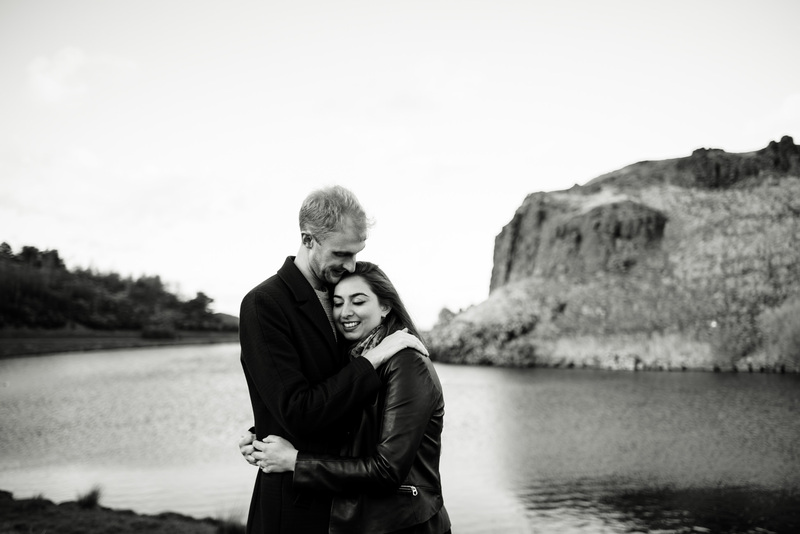 Matthew and Sunayna are getting married next month in Edinburgh at on of my favourite venues Dovecot Studios. 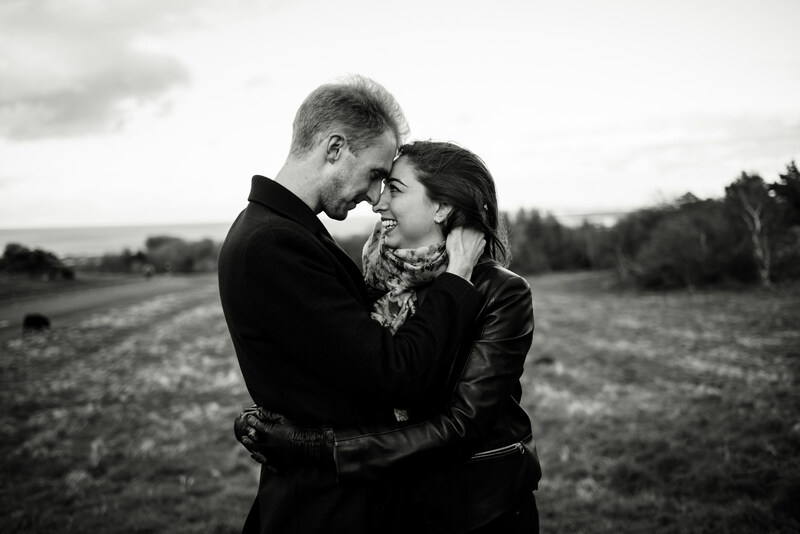 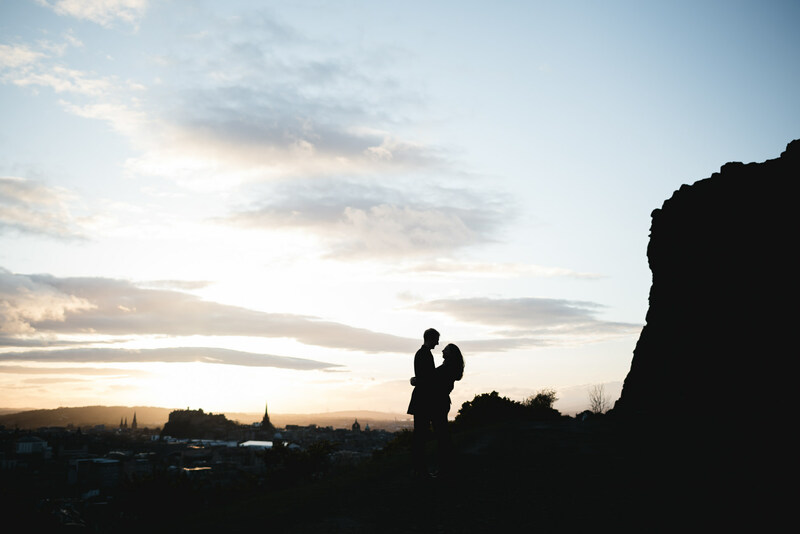 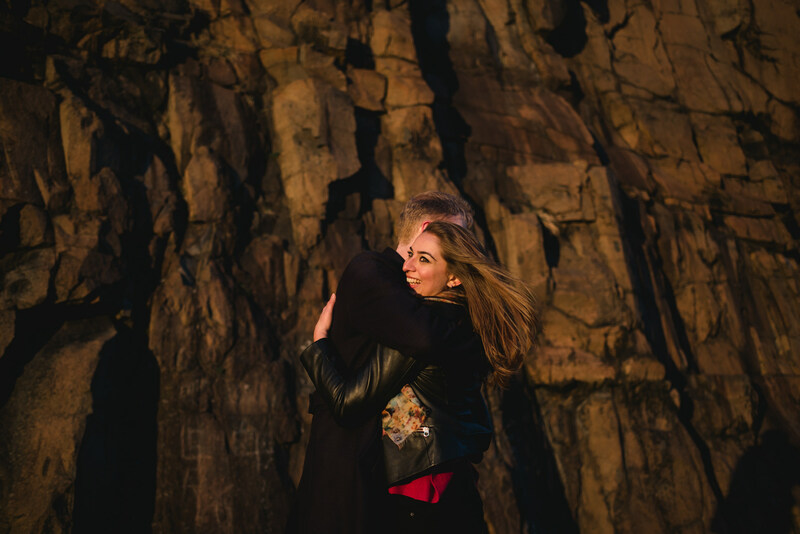 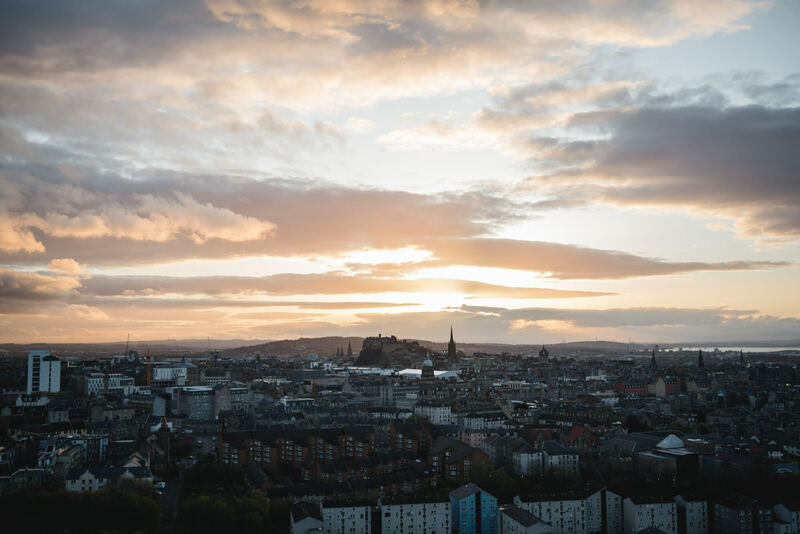 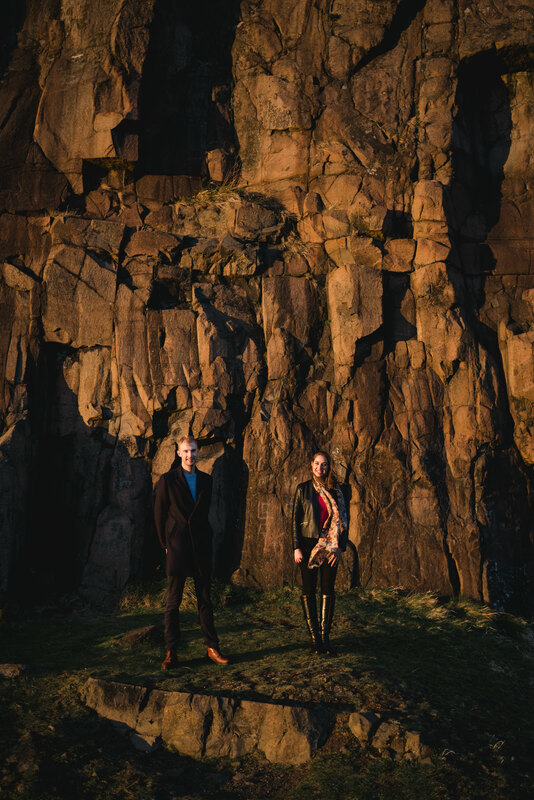 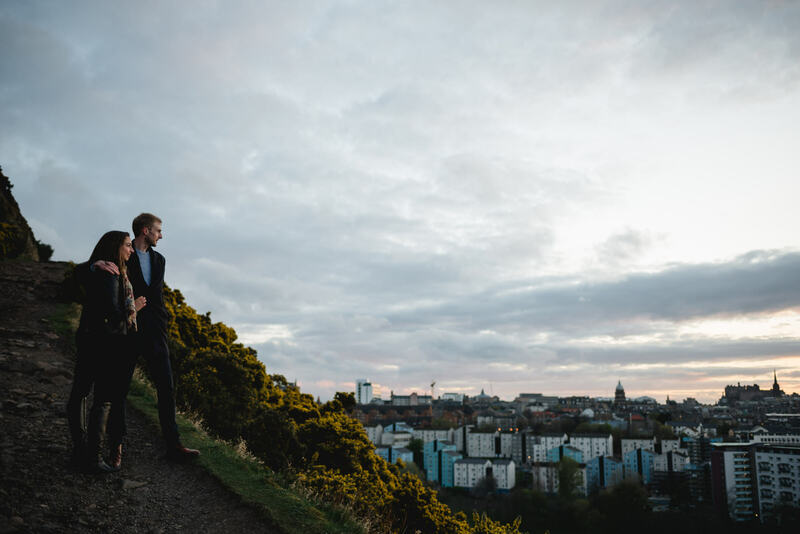 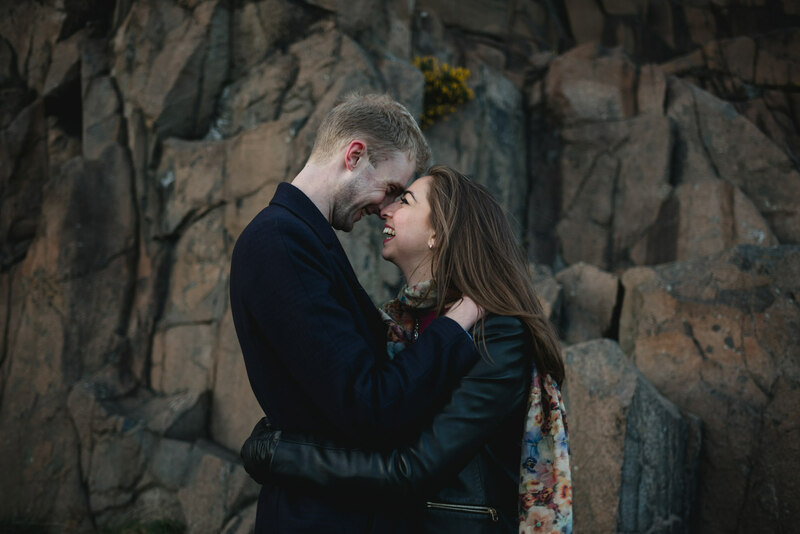 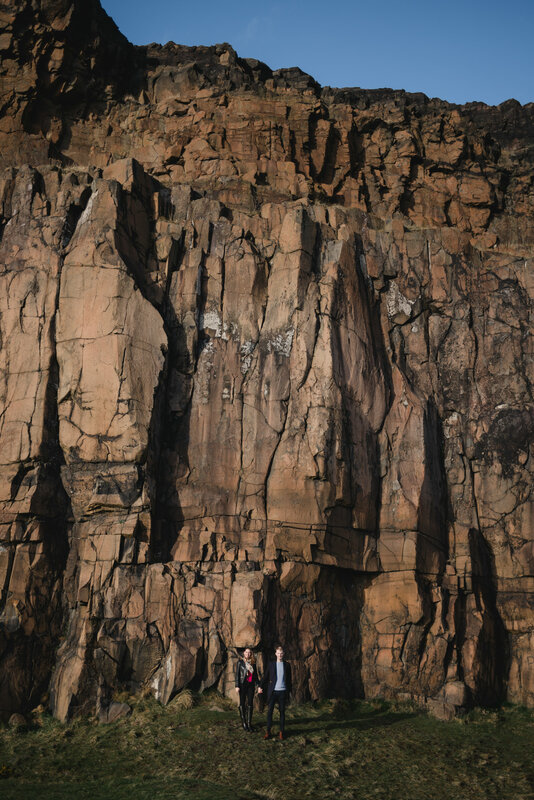 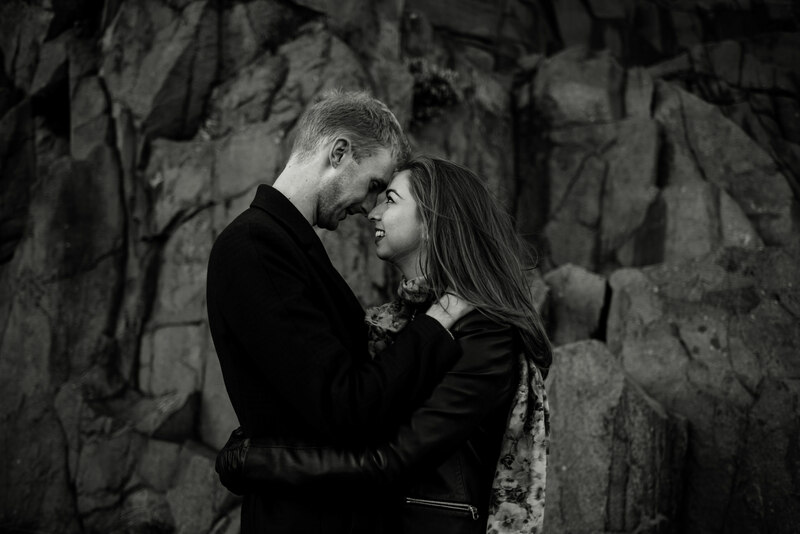 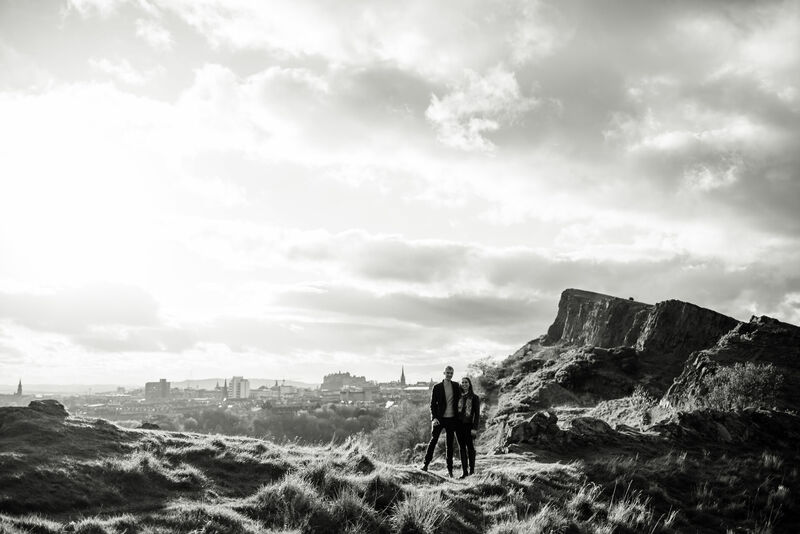 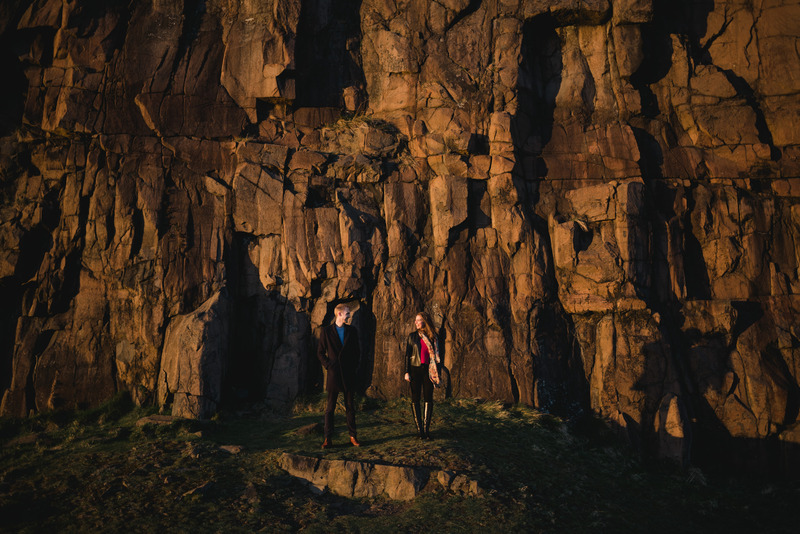 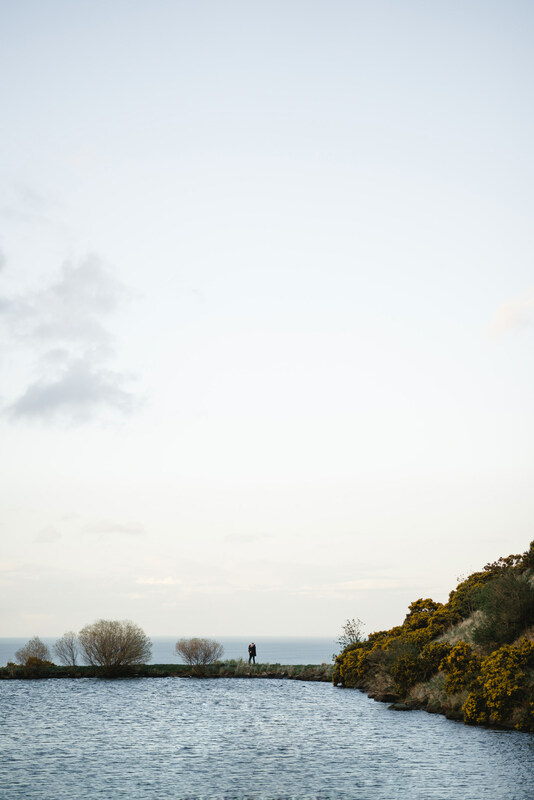 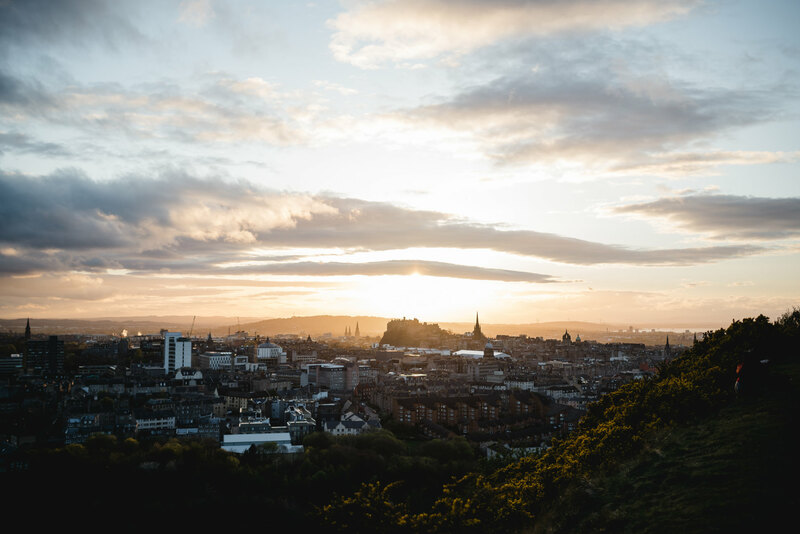 After bad weather rescheduled our original plans, we decided to have a sunset engagement shoot on Arthur’s Seat. 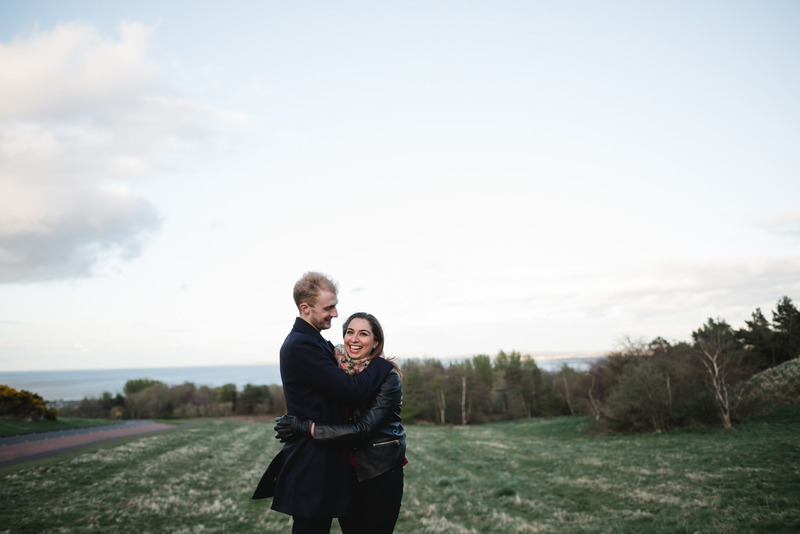 We met up on a Friday evening just before sunset and took a very cold walk around. 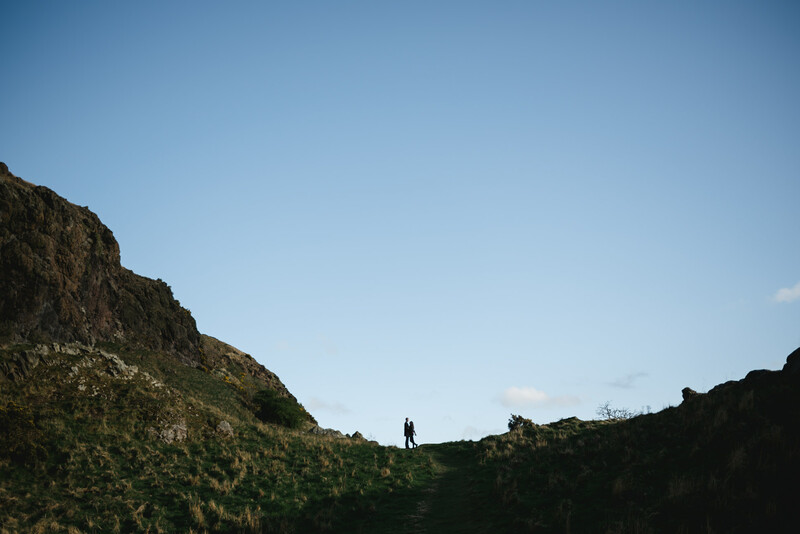 The light completely changed from warm golden tones, to blue in the shadows of the Crags. 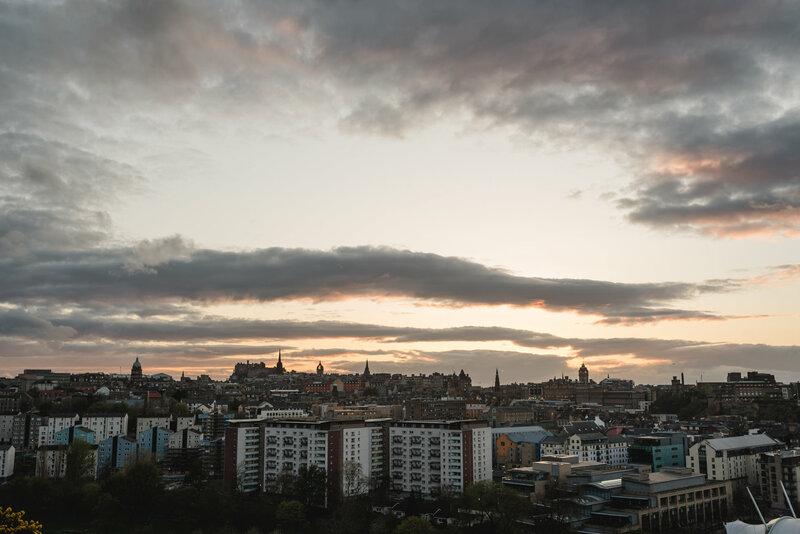 The on our way back down we had this incredibly pinky magenta light just as the sun disappeared behind the castle. 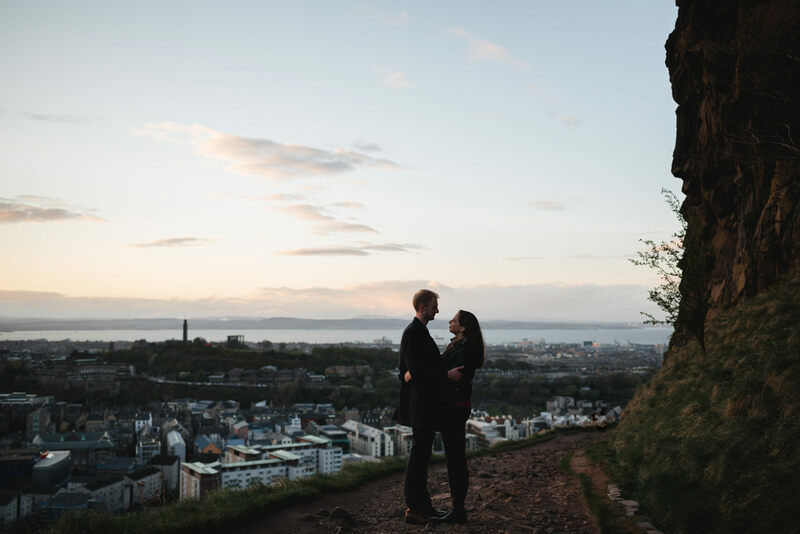 Just check out those views. 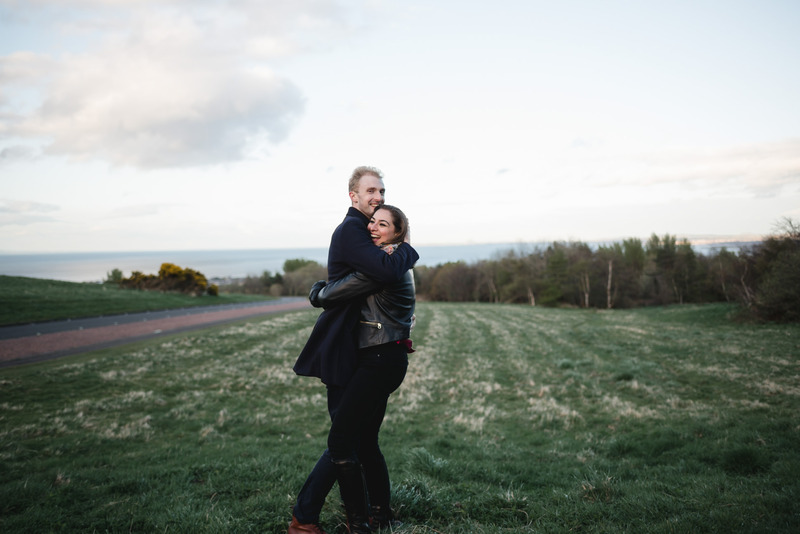 I’m delighted to get to work again with one of my favourite suppliers Cat Robertson MUA. 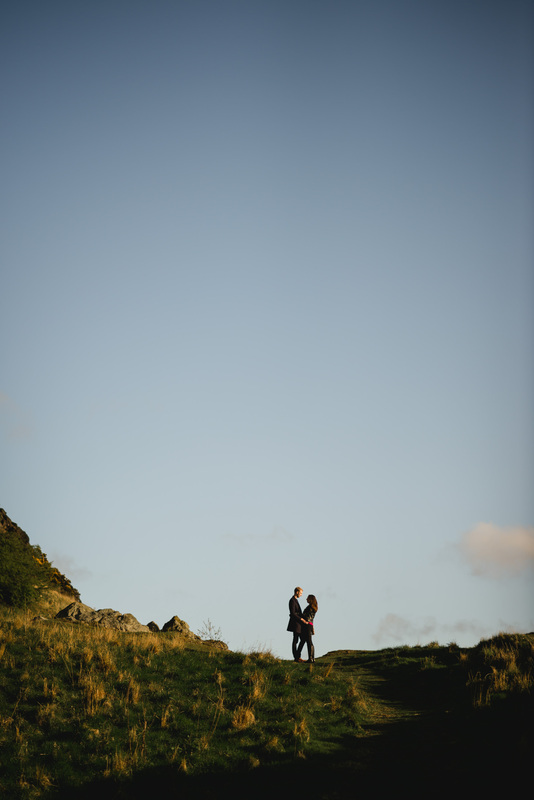 Beautiful colours and two very happy, loved up people. 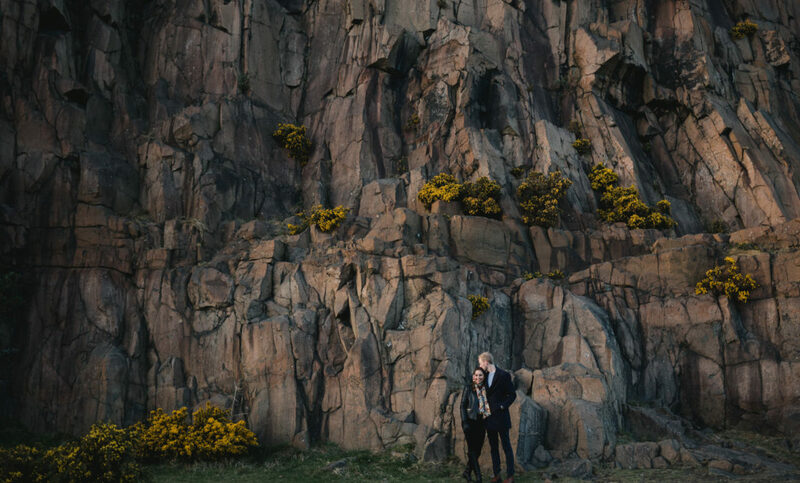 Sweet couple, beautiful landscape, great shoots!